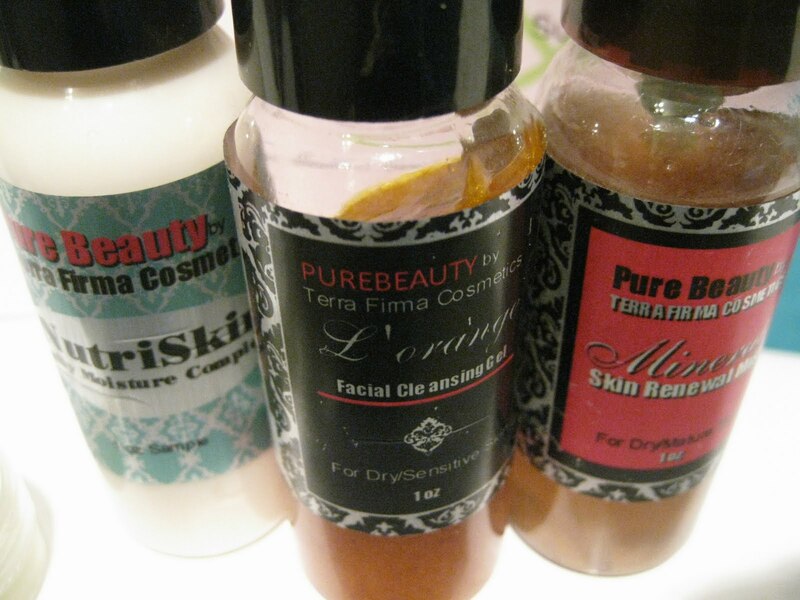 Terra Firma Cosmetics was established in 2004 when owners Meri Yardley and Dori Patrick saw a need for more quality and safer ingredients in the natural beauty care industry. Their commitment to the ethical compact they’ve signed with SAFE COSMETICS to provide beauty care products free of potentially harmful ingredients is reflected in their formulations. Their unique hydrating blend of mineral makeup with silk amino acids, helps balance the ph of your skin, provides a soft focus effect while nourishing your skin with vitamins and minerals. This Hydro Silk Mineral Foundation buffs away blemishes, scars, and discolorations, leaving your complexion even and hydrated. Their Raymond, Wash.-based business has blossomed based on their mission to develop products that aren’t just safe for the body and environment, but “provide effective beauty care with pure and natural ingredients.” Their product lines have also extended beyond the standard cosmetics to cover all-around body care and spa products, such as the Sweet and Salty 3 in 1 Body Treat, a cleanser, exfoliant, and shaving foam all in one.Recently, Terra Firma Cosmetics launched their “Longevity Lip Stain”. Instead of the traditional chemical colorants used in lip stains, this innovative new product uses natural vegetable and fruit colorants in an aloe Vera gel base. 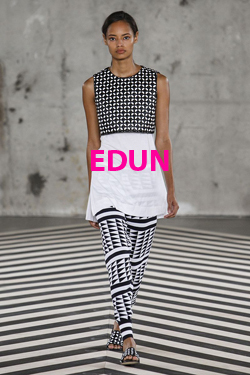 Resulting in beautifully long lasting color and supple lips. 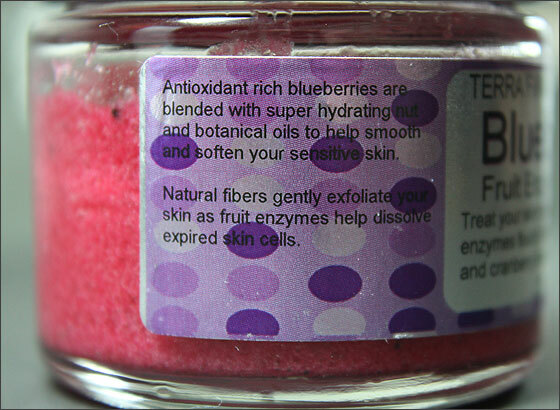 Terra Firma describes this as “the most wonderful fruit smoothie for your skin”. 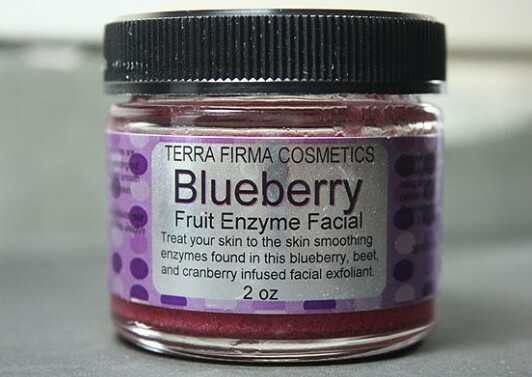 Their Blueberry Fruit Enzyme Facial is technically a masque that you’re supposed to use up to three times weekly. The product claims are simple: Exfoliate skin (check), clear clogged pores (check), helps prepare skin for moisture (check), smells YUMMY (double-check). 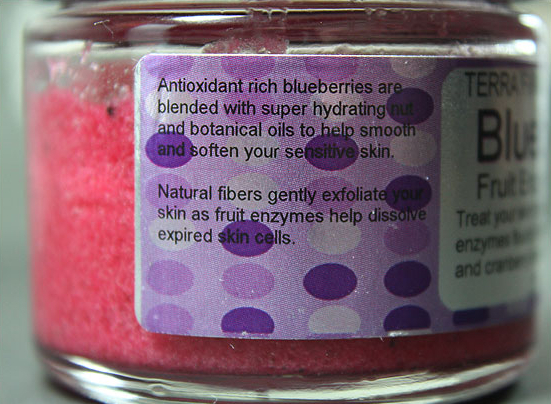 The exfoliating particles (for lack of a better term) are very fine and soft, no hard bits or chunks in this one! 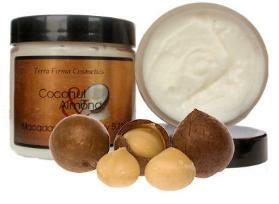 The texture is soft, soothing and comfortable when you use it. Like a lot of the Terra Firma skincare products, this stuff smells AMAZING! It smells so much like raspberry sorbet it’s kind of hard to stop yourself from eating it. There is an essential oil blend at work here. Those of you who prefer to stay away from products with essential oils should be aware of that. Ingredients: Vegetable Glycerin, Organic Olive Oil, Organic Coconut Oil, Organic Jojoba Oil, Blueberry Fiber, Emulsifying Wax, Polysorbate-20, Vegetable Gum Extract, Organic Aloe Vera, Rosemary Extract, Magnesium Stearate, Xanthan Gum, Citric Acid, Beet Juice, Malic Acid (Fruit Enzymes), Mannan, Essential Oil Scent Blend. On any given day you can stop by the Terra Firma Cosmetics Boutique & Manufacturing Plant in Raymond WA, and you’ll find Dawn working on the latest formulation in the Research & Development Department. 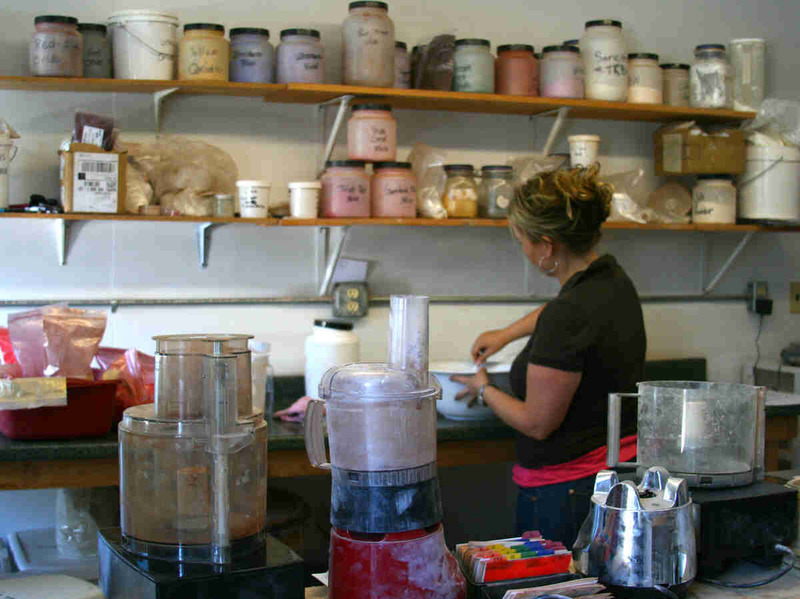 Dawn and Julie both work with each product from formulation to production to ensure that the same standards of quality she expects herself, is what’s being offered to her customers. the lucky customers who receives their monthly newsletters, then you might already know that these come directly from Dori. 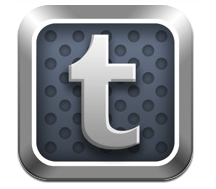 Her newsletters are full of makeup tips, coupons and the latest in makeup trends! Because customer service is so important to Dori, she takes the time to make sure that everyones special requests and questions get answered. 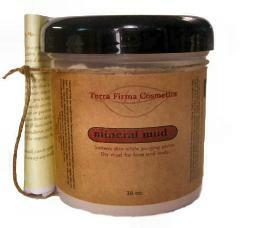 Terra Firma Cosmetics uses no chemical dyes, petroleum products, parabens nor sulfates. Their products are vegan. And although they do have a few makeup brushes that are not vegan, they also have a whole collection of clearly marked vegan brushes as well.